Some additional info: Please note that as each oven differs, you may have to bake it a little bit longer to get it nice and crispy. Another factor would be the amount of fat/oil in your cheese. I ended up baking mine a bit longer (say in total about 10 minutes) but be careful not to burn them, to ensure it remains crisp. Today it’s still yummy and crispy like a chip. Made it from memory from way back then, so this will not resemble the original recipe in any way shape or form. 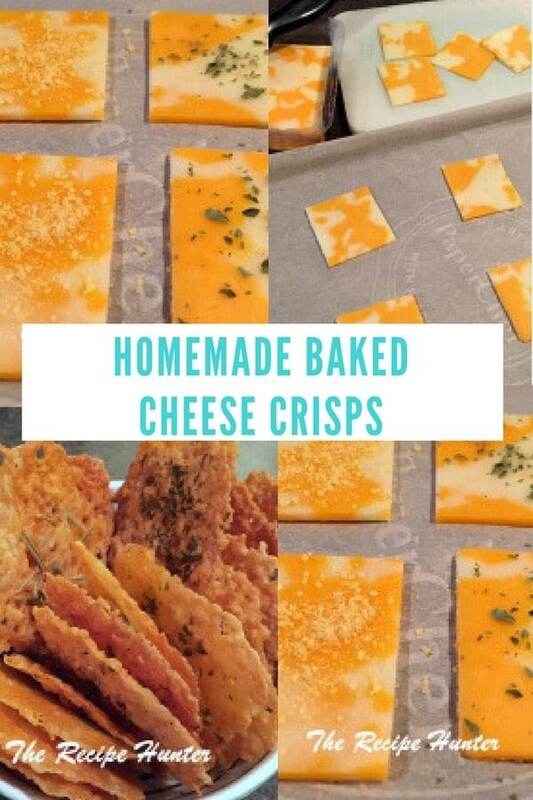 Yes, I have made these before, and have used sesame seeds and chia seeds instead of the cheese. Both lots very yummy, with a cold drink on a hot summer’s afternoon!